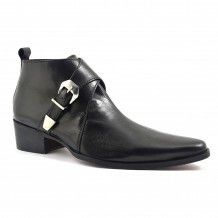 A pointed toe black chelsea boot with brogueing. 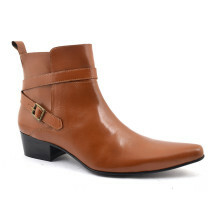 A super cool addition to your boot collection. 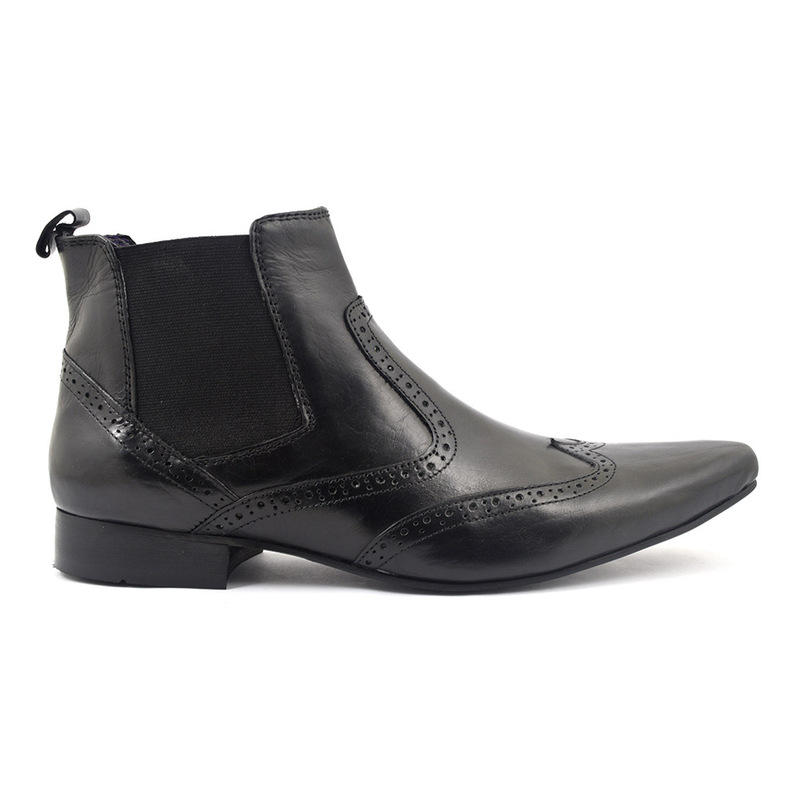 A cool black pointed toe brogue boot for the fashion conscious style lovers out there. 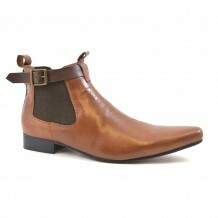 A winkle picker style boot really is a bit decadent isn’t it? When you think the original long toe Crakow shoe was 2ft long and made of whalebone you can see why they are considered so underground. Teddy boys wore this style in the 50s and mods in the 60s. Even today, you get a certain type of man wearing these. Independent, confident and not afraid to break the mould type men. 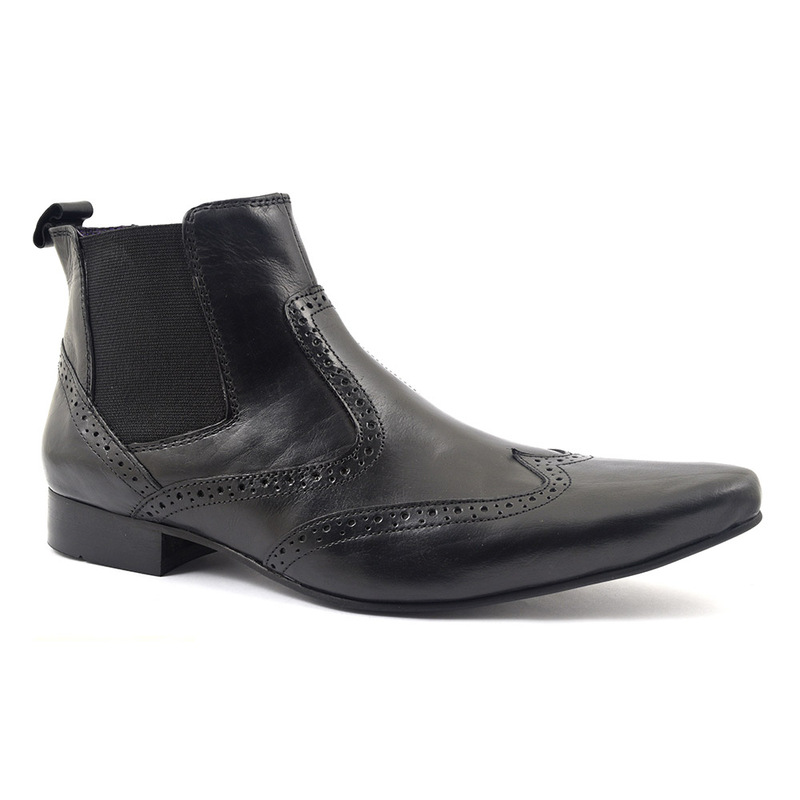 If this is you, grab a pair of these black pointed toe brogue boots. Many years ago, there were holes inserted in boots to get water out whilst people worked out wetland. Can you believe that is how this type of brogue boot came about! A practical history which is now purely decorative but boy, it looks good! Pair these pointed brogues with a sharp tailored suit and go for the mod vibe or wear with jeans and you will rock it. Think The Horrors and other movers and shakers of our time like Fielding and Brand. 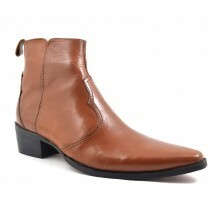 This is a versatile brogue boot and we think you will look the part on them. 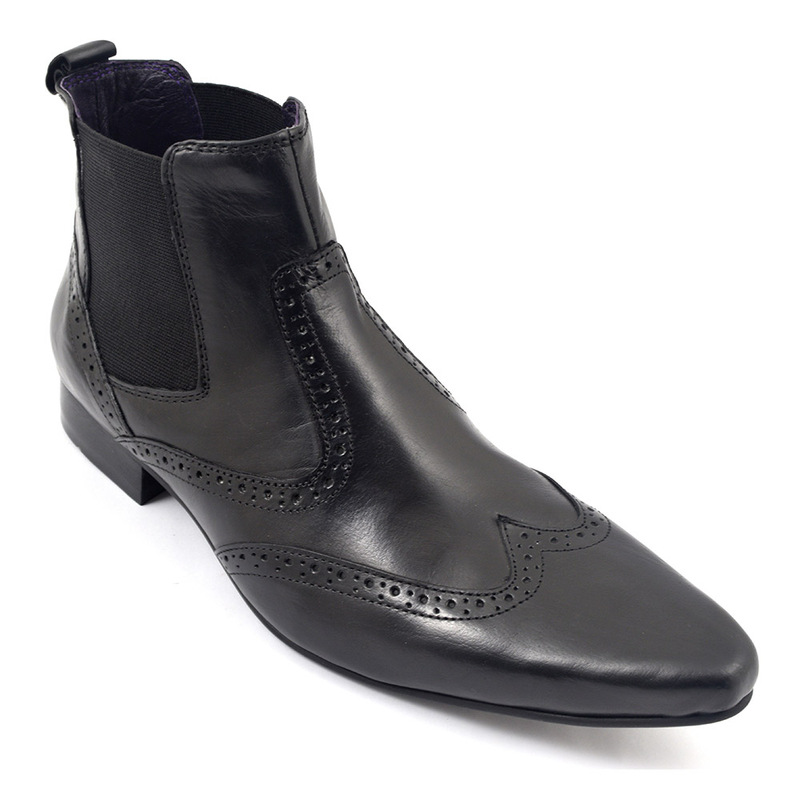 Be the first to review “Albi Black Pointed Toe Brogue Boot” Click here to cancel reply.